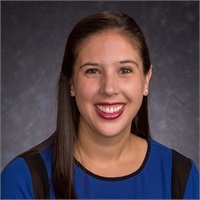 Amanda grew up in Rushville, NY, and attended SUNY Oswego and SUNY Geneseo earning her Bachelor's Degree in Spanish and Adolescent Education. She loves to travel and learn about other cultures. Her passion to explore and learn has led her to several countries throughout Europe and Latin America, including Ecuador, Argentina and Costa Rica. Besides traveling, Amanda enjoys spending time with her family, dancing, running, playing basketball and volunteering to help at-risk youth in Rochester. Amanda resides in Fairport and love spending time on the Erie Canal pathway.